For one week, Acha Leke and Mutsa Chironga studied stories from international news outlets to gauge the stories being told about Africa. What they found motivated them to change the narrative about the continent. In that one week, the only African news they could find were about Nigerian terror group, Boko Haram, African migrants who drowned while trying to escape conditions at home, and articles on corruption in Angola. “Of course, as we all know, the numbers in Africa tell a different story. In the last decade and a half, the GDP in Africa has doubled,” said Chironga, also noting improvements in healthcare, education and other areas. 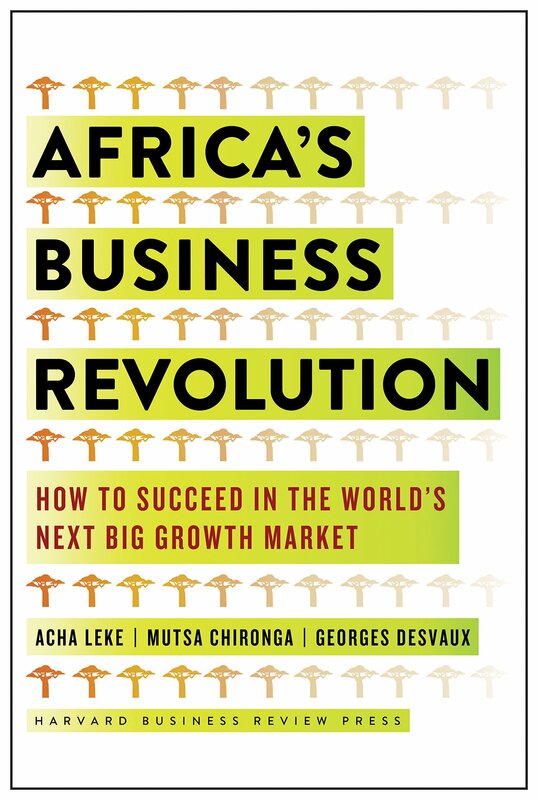 Together with Georges Desvaux, their colleague at the McKinsey Global Institute, Leke and Chironga produced a book called ‘Africa’s Business Revolution’, published by Harvard Business Review Press. The book, endorsed by major business and world leaders, was launched on 8 November 2018 at the Africa Investment Forum in Johannesburg. The authors say its premise is in line with an age-old African tradition. Chironga explains that storytelling is a familiar concept in Africa. “I remember as a child, listening to my grandmother telling stories aboout the rabbit and the hare,” he said. The authors’ research includes a survey of more than 1,000 business practitioners all over the world. They also interviewed scores of successful CEOs, entrepreneurs, and leaders of development institutions, including the president of the African Development Bank, Akinwumi Adesina. Half of its people are under the age of 20. In Rwanda, 75% of the population is younger than 30. Africa will account for one-fifth of the world’s population by 2050, with 24 million of those moving to cities every year, with their incomes doubling or tripling in urban settings. In less than 10 years, Africa’s manufacturing output will reach US$2 trillion. The region is also becoming more wage-competitive than China and India. In 2001, the average Chinese worker was paid 43 cents per hour, but now he or she earns US$2.88 an hour. That figure is well above the wages in many sub-Saharan countries. Infrastructure spending totaled US$80 billion in 2015 – more than double the annual average at the beginning of the century. This increase is comes from government spending, development institutions and private investors. The authors cite the example of a highly successful agricultural project in Nigeria, which has assisted around 20,000 farmers, and aims to benefit up to 5 million people. Technology will add US$300 billion to Africa’s economy. Half the world’s mobile bank accounts are in Africa, a sign of how the continent has leapfrogged the rest of the world with its own unique use of technology. Another interesting fact is that there are 400 African companies that generate US$1 billion per year. And while these companies are on average more profitable than their global peers, they are also growing at a faster rate.